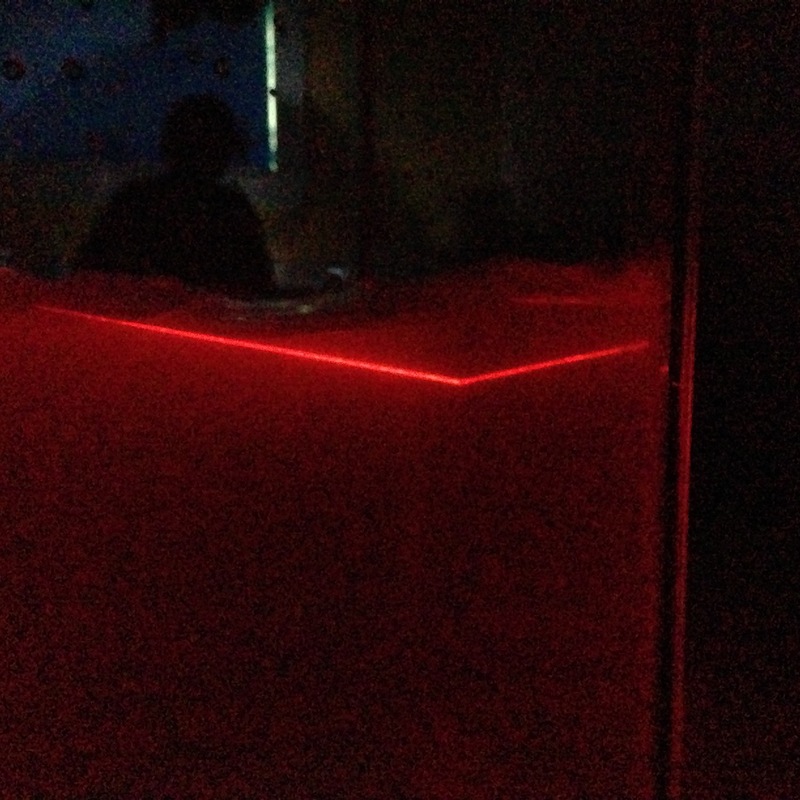 Shine a pocket laser in a fish tank of water, and see it reflect off surfaces. Fill the fish tank with water (do not try to move after filling). Add a few drops of milk and swirl around. The milk will only just be visible. It is easy to add too much. 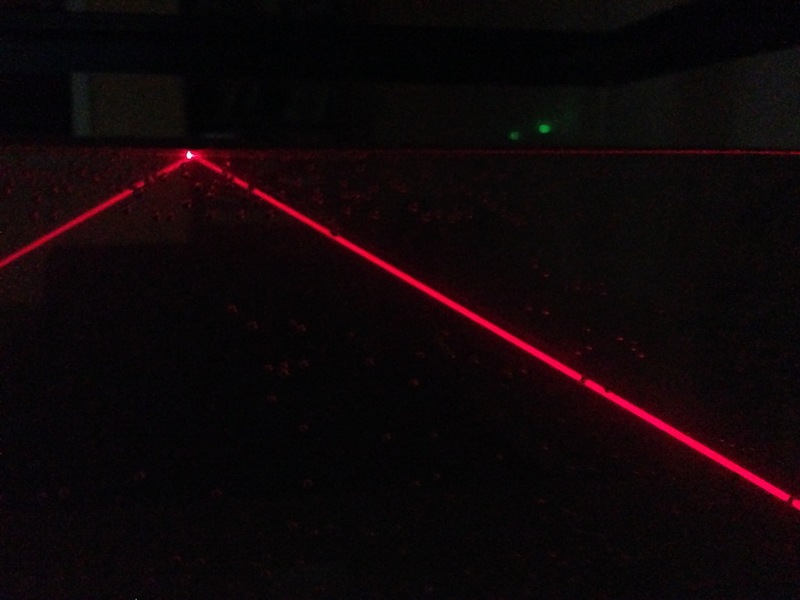 Ask students to shine their lasers in the tank, observing what happens when it hits the glass at the sides of the tank, as well as the surface of the water. The lasers will reflect off the glass, and also the surface of the water, which behave like mirrors. 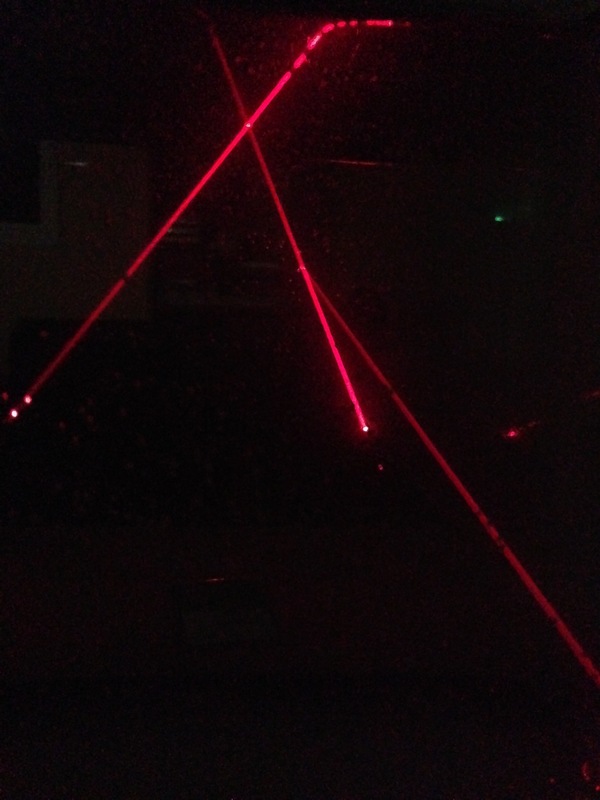 Also interesting is that some of the beam reflects back and some does not, so the path of the laser light is split, so with multiple reflections interesting patterns can be made from just one laser beam. For more experimentation add mirrors under the water for students to move around.